Heat oven to 325°F. Lightly grease 8- or 9-inch square pan with butter or cooking spray. In food processor, place graham crackers, granulated sugar and lemon peel. Cover; process until fine crumbs form. Add melted butter. Cover; process until crumbs are evenly moistened. Press mixture in bottom of pan. Bake 10 minutes or until lightly browned. Cool 10 to 15 minutes. Meanwhile, wipe food processor bowl with paper towels to remove any crumbs. 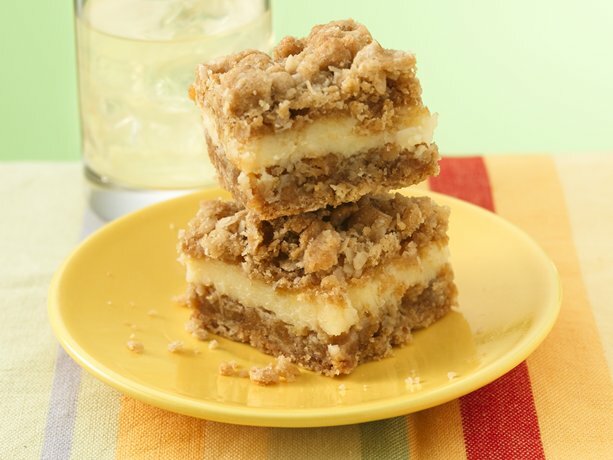 Add cream cheese, eggs, cinnamon, nutmeg, 1/4 cup lemon juice and 1/2 cup brown sugar. Cover; process until smooth and creamy. Pour filling over partially baked crust. In small bowl, toss apples with 1 teaspoon lemon juice. Sprinkle over filling. In medium bowl, mix 3/4 cup brown sugar, the flour and cold butter with fork or fingers until crumbly. Stir in granola. 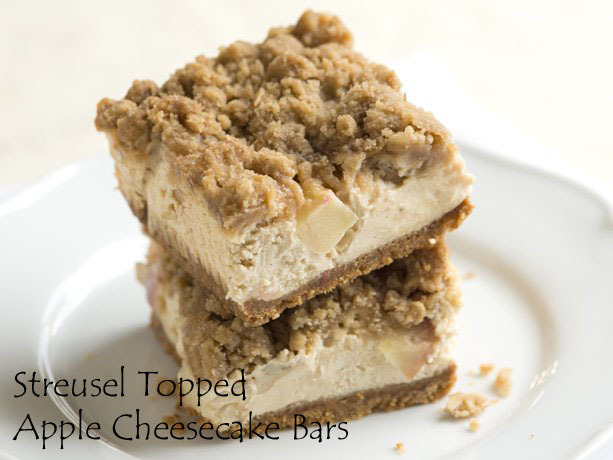 Sprinkle over apples and filling. Bake 35 to 40 minutes or until topping is lightly browned and center is almost set (center should jiggle only slightly when moved). Cool on cooling rack 1 hour. Refrigerate at least 1 hour or until chilled. Cut into 3 rows by 3 rows. In a large pot melt the butter or bacon drippings. Saute the onion and apples until golden brown. Add vinegar, beef stock, red wine, red currant jelly, cloves, sugar, salt, pepper, and bay leaf. Bring to a simmer. Add the cabbage and toss to combine. Cover and bring to a simmer and cook for about one hour over low heat, stirring occasionally. Remove lid and allow to cook for another 10-15 minutes to to allow liquid to evaporate. 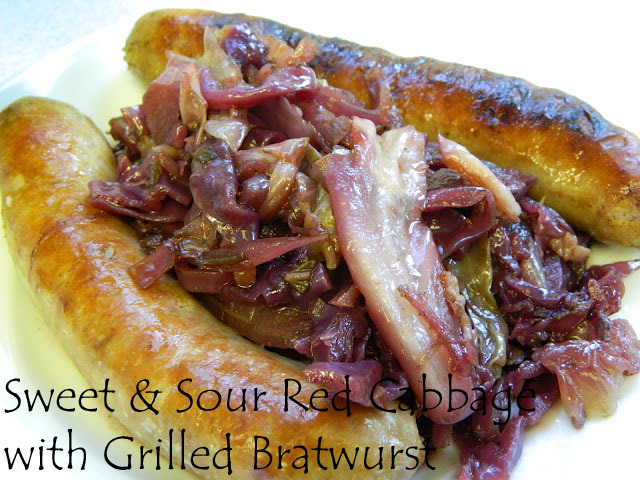 Serve with grilled bratwurst or chicken schnitzel. Chop cheese slices. Bring wine, butter and seasoning to a boil for 15 minutes to reduce wine and cook out excess alcohol. Then add cheese and set into double boiler. (Use stainless steel or ceramic pot.) 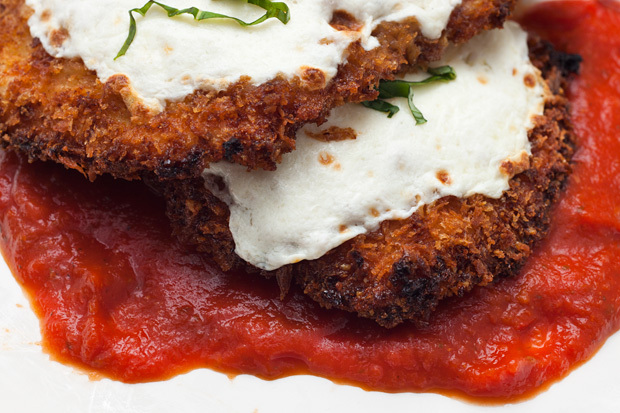 Stir thoroughly with a wooden spoon until cheese melts into a smooth heavy sauce. (If fondue seems too thick, add more wine. If too thin, add more cheese.) Dice bread into 2-inch squares and brown lightly in oven. Keep fondue warm while serving, else a skin will form on the top. Heat oven to 350°F. Spray bottom of 8-inch square pan with cooking spray. In large bowl, cut butter into cookie mix, using fork or pastry blender. Stir in egg until mixture is crumbly. Press half of cookie mixture into bottom of pan; bake 15 minutes. In small bowl, stir condensed milk, lemon peel and lemon juice until thick. Spread over baked crust. Crumble remaining cookie mixture over top. Bake about 25 minutes longer or until light golden brown. Refrigerate 30 minutes or until set. For bars, cut into 5 rows by 5 rows. Store covered in refrigerator. When the oil is ready, add half of the tortilla strips and fry, stirring occasionally, until golden brown and crisp, about 2 to 2 1/2 minutes. Remove with a slotted spoon to the prepared baking sheet and season with salt and pepper. 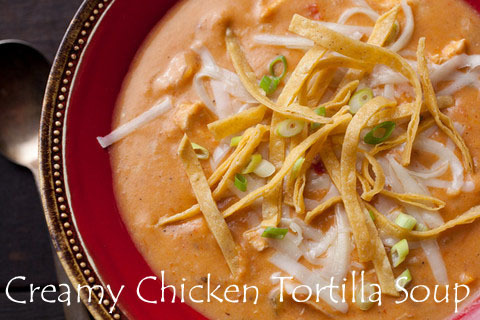 Repeat with the remaining tortilla strips; set aside. Heat the oil in a large frying pan over medium heat until shimmering. Add the celery, carrot, onion, garlic, and thyme and cook, stirring occasionally, until the carrots just begin to soften, about 10 minutes. Add the tomato paste, stir to coat the vegetables, and cook until it’s no longer raw-tasting, about 3 minutes. Add the wine and mustard, stir to combine, and bring to a simmer. Cook until the wine reduces by roughly half, about 5 minutes. Place the flour, measured salt, and measured pepper in a large bowl and whisk to combine; set aside. Trim the roast of excess fat and sinew and cut it into 1- to 1-1/2-inch cubes. Place the meat and mushrooms in the flour mixture and toss to coat. Pour all of the meat, mushrooms, and loose flour mixture into the slow cooker. Add the vegetable-wine mixture and stir to combine. Add the beef broth and bay leaf, tucking the bay leaf into the broth. Cover and cook on high, stirring about every 1 1/2 hours if possible (if you can’t stir it that often, it’s OK), until the beef is tender and can easily be pierced with a fork, about 5 hours. Add the peas and parsley, stir to combine, and continue to heat until the peas are warm, about 5 minutes. Taste and season with more salt and pepper as needed. Return the saucepan to medium-high heat and while whisking constantly, cook until the sauce thickens and coats the back of a spoon, about 2 to 3 minutes. Stir in 1 tablespoon of the salt, taste and add the remaining salt as desired. Remove from the heat, and set aside. Place the reserved saucepan of béchamel over medium heat and stir in both cheeses just until melted and smooth. Add the pasta and continue cooking, stirring occasionally, until the pasta is heated through and steaming, about 2 to 4 minutes. Transfer to a 5-quart baking dish, sprinkle with the panko, and bake until bubbling and brown on top, about 25 to 30 minutes. Preheat oven to 375 degree F. Line a cookie sheet with parchment paper or foil (grease foil, if using). 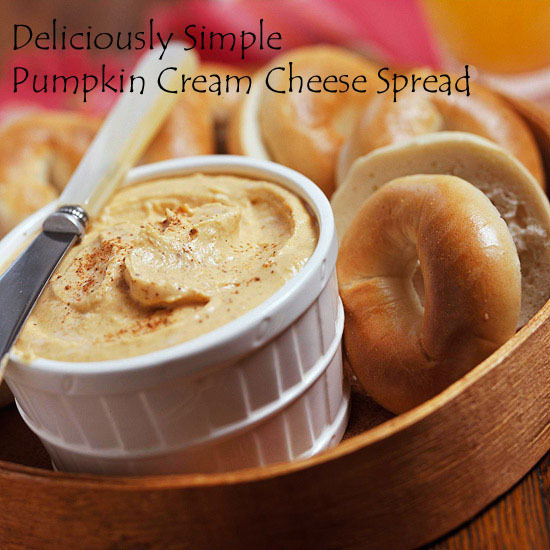 In a large mixing bowl beat pumpkin and butter with an electric mixer on medium speed until smooth. Add cake mix, eggs, and milk; beat on low speed until combined, and then on medium speed for 1 minute. By the heaping tablespoon, drop mounds of batter 3 inches apart on cookie sheet; keep remaining batter chilled. Bake 15 minutes or until set and lightly browned around edges. 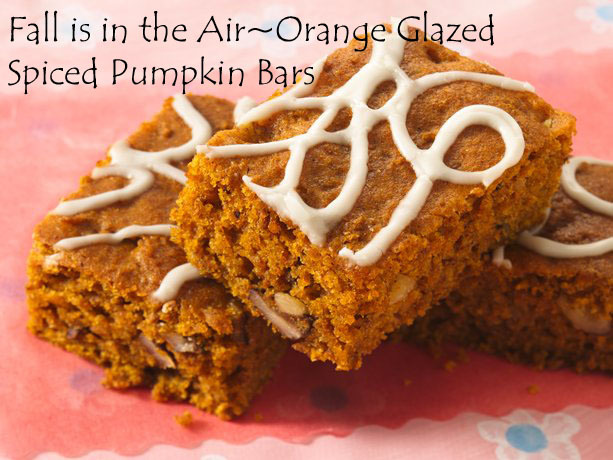 Carefully remove from parchment or foil; cool on wire rack. Repeat with remaining batter, lining cooled cookie sheets each time with new parchment or foil. If desired, place cookies in a covered storage container with waxed paper between layers to prevent sticking. Store cookies at room temperature for 24 hours. Prepare Marshmallow-Spice Filling up to 2 hours before serving. 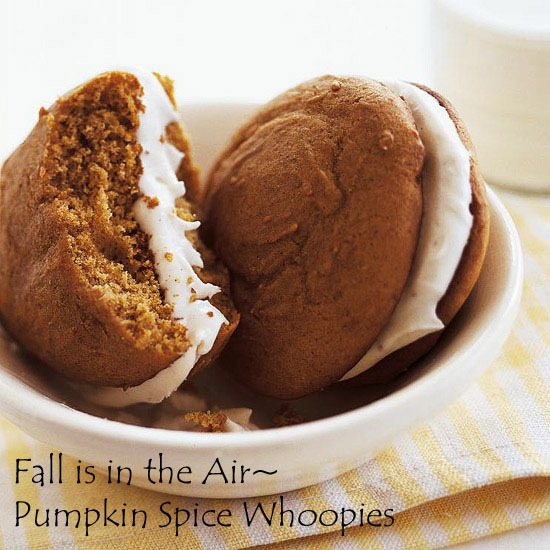 Spread about 2-1/2 tablespoons filling on flat side of one cookie; top with a second cookie. Repeat. Serve immediately or cover and chill up to 2 hours. Makes 15 whoopies. Up to 2 hours before serving, beat together butter and cream cheese until smooth. Add powdered sugar, marshmallow cream, vanilla, cinnamon and nutmeg. Beat until well combined. Beat all ingredients in a medium mixing bowl with an electric mixer on medium speed until smooth. Cover and refrigerate for at least 1 hour or up to 24 hours. 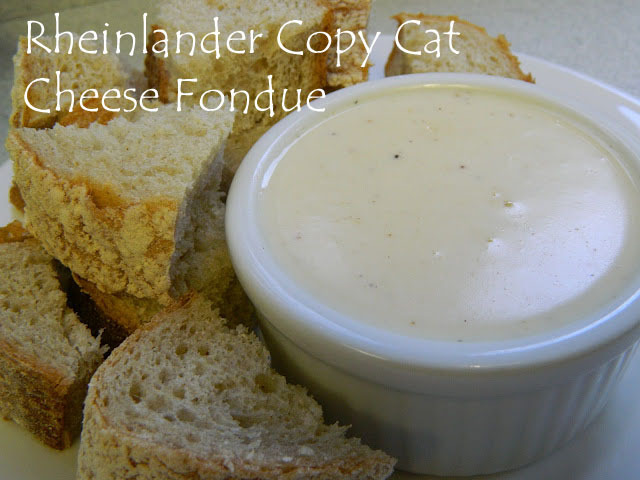 Makes 1-1/2 cups (24, 1-tablespoon servings). When temperatures rise, there's nothing like a bit of ice cream to help cool things back down! 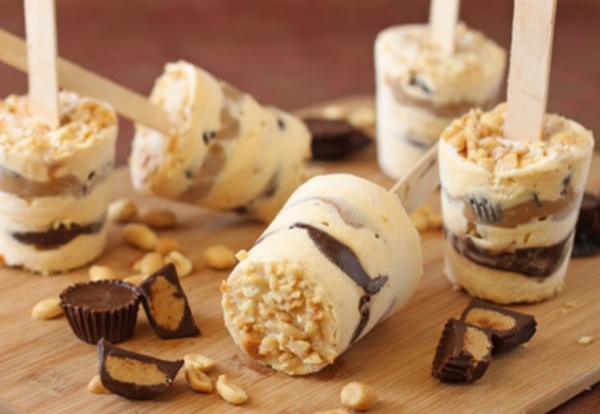 If you're looking to beat the heat during the dog days of summer, try these Peanut Butter Ice Cream Pops. 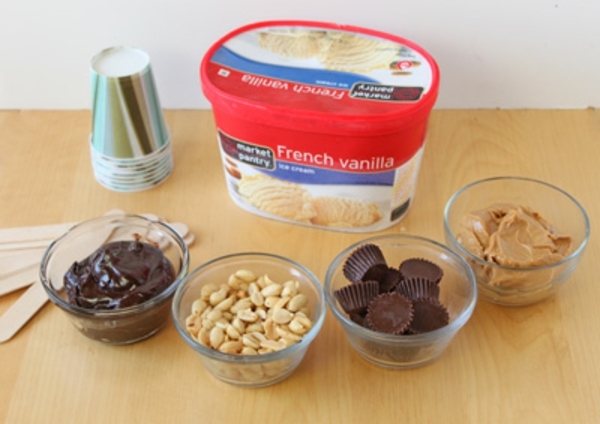 These quick desserts are an easy way to put a homemade spin on plain vanilla ice cream. 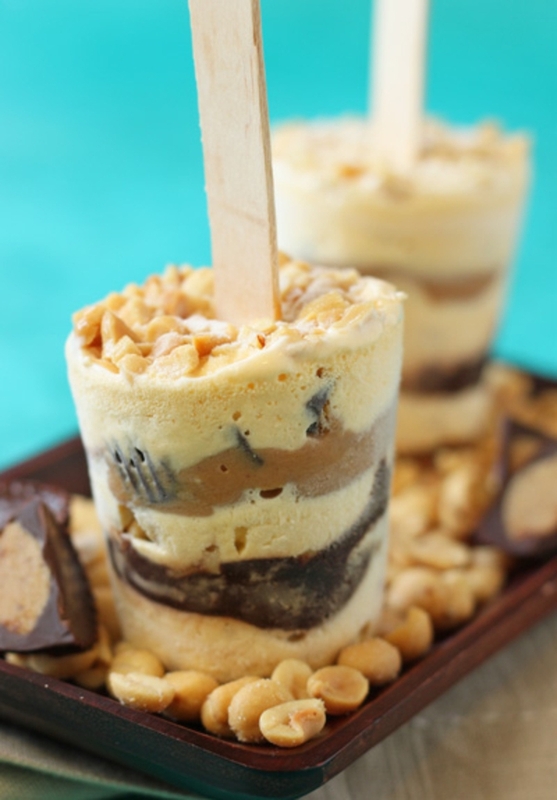 Store-bought ice cream is layered with chocolate fudge sauce, salty peanuts, peanut butter, and chunks of peanut butter cups candy, in individual popsicle form. 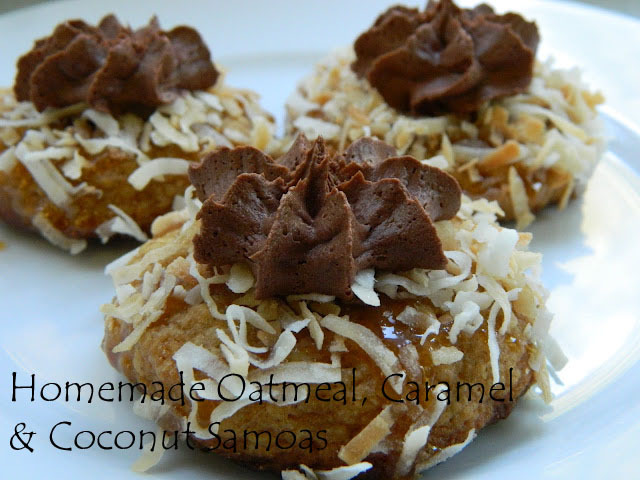 They're cold and creamy, sweet and salty, and the perfect antidote to hot summer days! Heat oven to 350°F. Spray 15x10x1-inch pan with cooking spray, or grease and flour pan. Place cereal in resealable food-storage plastic bag; seal bag and crush with rolling pin or meat mallet (or crush in food processor). 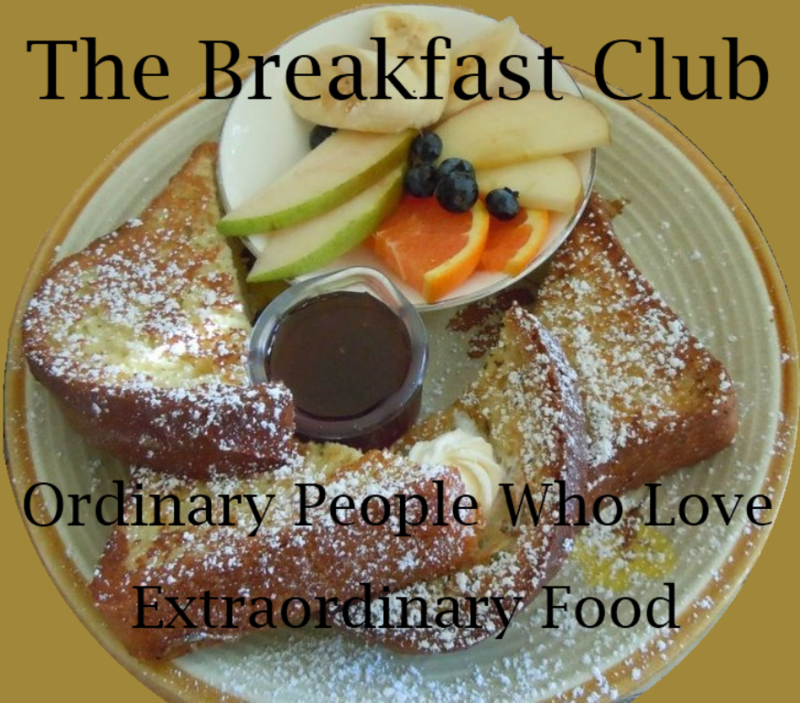 In large bowl, beat oil, 1/2 cup orange juice, the pumpkin and eggs with electric mixer on low speed until well blended. Stir in crushed cereal; let stand 10 minutes. Beat in remaining bar ingredients except walnuts on low speed until well blended. Stir in walnuts. Spread evenly in pan. Bake 35 to 40 minutes or until top springs back when touched lightly in center. Cool completely, about 1 hour. In small bowl, mix powdered sugar and enough of the 4 to 6 teaspoons orange juice for desired drizzling consistency. Drizzle over bars. For bars, cut into 8 rows by 4 rows. 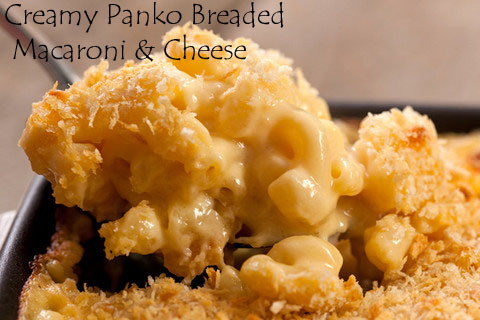 Heat oven to 425 degrees F. In a 15x10x1-inch baking pan combine crumbs, Parmesan cheese, and the 1 tablespoon butter. Bake 5 minutes; remove from oven, stir, set aside. Meanwhile, in Dutch oven cook spaghetti, with 1 tablespoon salt added to water, according to package directions; add peas during last 3 minutes of pasta cooking time. Reserve 2 cups pasta cooking water (*Using Pasta Water, see below) set aside. Drain pasta and peas; keep warm. Return 1 cup reserved pasta water to Dutch oven. Bring to boiling. Add the 2 tablespoons butter and mustard. Add cheeses, a bit at a time, stirring after each addition until melted. Stir in more pasta water if needed. Add spaghetti mixture; toss. Sprinkle servings with crumb mixture and prosciutto. Makes 6 to 8 servings. Preheat oven to 350 degrees F. Coat a 3-quart casserole with cooking spray; set aside. Cook macaroni according to package directions; drain. Return macaroni to pan; set aside. Meanwhile, in a large bowl combine shredded Swiss cheese, Gruyere cheese, flour, and garlic. Toss to combine. In a large saucepan heat broth and wine over medium heat just until bubbles form around edge of pan. Add cheese mixture, 1 cup at a time, whisking constantly after each addition until cheese melts. (Mixture may not be completely smooth at this point.) Do not boil. Remove from heat. Add seafood seasoning. Pour cheese mixture over macaroni; stir gently to combine. Fold in cubed shrimp and Swiss cheese. Spoon pasta mixture into prepared casserole. Sprinkle crushed crackers evenly over top; dot with butter. Bake, uncovered, for 35 to 40 minutes or until bubbly and topping is golden. Preheat oven to 450 degrees F. Prepare Pastry for Single-Crust Pie. On a lightly floured surface, roll pastry from the center to edges into a circle about 12 inches in diameter. Wrap pastry circle around the rolling pin. Unroll into a 9-inch pie plate. Ease pastry into pie plate without stretching it. Trim pastry to 1/2 inch beyond edge of pie plate. Fold under extra pastry even with the plate's edge. Crimp edge as desired. Do not prick pastry. Line pastry shell with a double thickness of heavy foil. Bake for 8 minutes; remove foil. Bake for 6 to 8 minutes more or until pastry is golden. Remove from oven. Reduce oven temperature to 350 degrees F.
Cook macaroni according to package directions; drain. Return macaroni to pan; set aside. Meanwhile, in a large skillet cook bacon over medium heat until crisp. Using a slotted spoon, transfer bacon to a paper towel. Wipe out skillet. In the same skillet melt butter over medium heat. Whisk in flour, mustard, and pepper. Cook and stir for 2 minutes. Whisk in milk, green onions, and Worcestershire sauce. Cook and stir until thickened and bubbly. Reduce heat to low. Add cheddar cheese; stir until cheese melts. Remove from heat. Stir macaroni, bacon, and corn into cheese mixture. 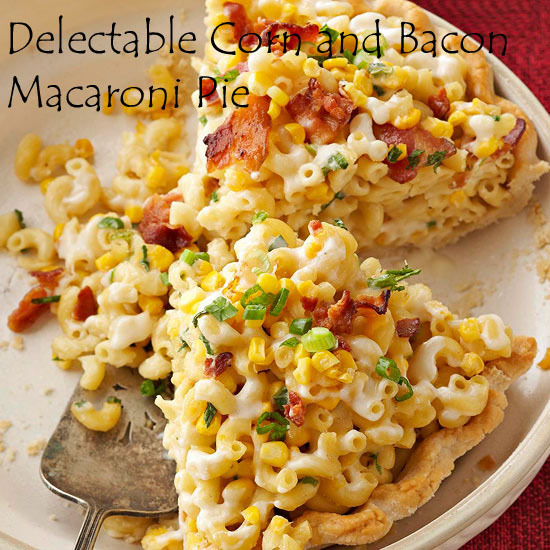 Spoon macaroni mixture into pastry-lined pie plate, mounding mixture in the center. Bake, uncovered, for 25 to 30 minutes or until heated through (160 degrees F). If necessary, cover edge of crust with foil to prevent overbrowning. If desired, sprinkle with sliced green onions before serving. 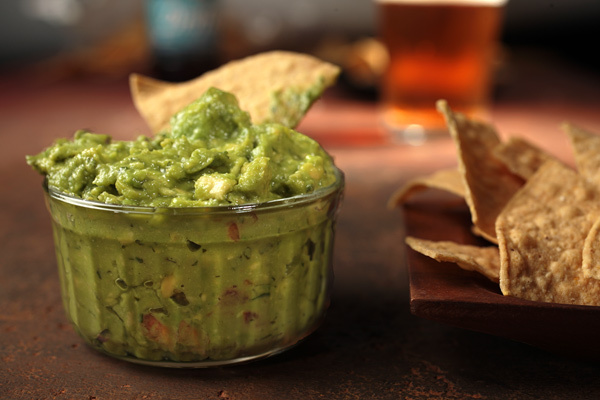 Halve the avocados, remove the pits, and scoop the flesh into a large mixing bowl. Mash with the back of a large fork or a potato masher to make a chunky paste. Add the remaining ingredients and stir to combine. Taste, adjust the seasoning as needed, and serve immediately. Heat the broiler to high and arrange a rack in the top third of the oven. Place the chicken breasts between two sheets of plastic wrap, parchment paper, or waxed paper, or in a resealable plastic bag, and pound to an even thickness (about 1/4 inch thick) with a meat pounder, a rolling pin, or the bottom of a pan. Season well with salt and pepper. Place the flour in a wide, shallow dish, season well with salt and pepper, and mix; set aside. Combine the milk and eggs in another shallow dish and mix until the eggs are broken up; set aside. Mix the panko and Parmesan together in a third shallow dish. To bread the chicken, dredge a breast in the flour mixture and shake off the excess. Next, coat it in the egg mixture and let the excess drip off. Finally, press it into the panko mixture until it’s well coated. Set the breaded chicken on a large plate or baking sheet and repeat with the remaining breasts. Line a clean baking sheet with paper towels and set aside. Heat the olive oil in a large frying pan over medium-high heat until shimmering but not smoking, or 350°F on a deep-fry thermometer. Add the chicken in batches (don’t overcrowd the pan) and fry until golden brown, about 2 minutes per side. Remove to the paper-towel-lined baking sheet and repeat with the remaining chicken. While frying the last batch of chicken, bring the tomato sauce to a simmer in a small saucepan over medium-low heat. Once warmed through, stir in 1/4 cup of the basil and reserve the rest for garnish. To serve, ladle 1/2 cup of the tomato sauce onto each plate, top with chicken, and sprinkle with the remaining basil. Divide the sausage into 4 equal portions. Shape each portion into an even 1/4-inch-thick patty that’s about 1/2 inch wider in diameter than the English muffins. Using your thumb, make a shallow 1-inch-wide indentation in the center of each patty, place them on a plate, and set aside. Heat a grill pan or outdoor grill to medium high (about 375°F to 425°F). Meanwhile, slice the apple into (1/2-inch-thick) rounds. Set aside the 4 widest slices, removing any seeds as necessary. Save any extra apple slices for another use. When the grill is ready, use tongs to rub the grate with several layers of paper towels dipped in vegetable oil. Using a flat spatula, transfer the 4 apple slices and the sausage patties (indentation-side up) onto the grill and cover the grill. Cook undisturbed (do not press down on the patties) until grill marks appear on the bottom of the patties and apples, about 3 to 4 minutes. Flip the patties and apples and brush them with the measured maple syrup, using all of it. Cover the grill and cook until the patties are cooked through and the apples have softened slightly, about 3 to 4 minutes more. Remove to a clean plate and tent loosely with foil. Place the muffins cut-side down on the grill and toast until grill marks appear on the bottoms, about 2 to 3 minutes. Flip the muffins and evenly distribute the cheese among all of the muffin halves. Cover the grill and continue to cook until the cheese has melted, about 3 minutes more. Remove to a work surface. 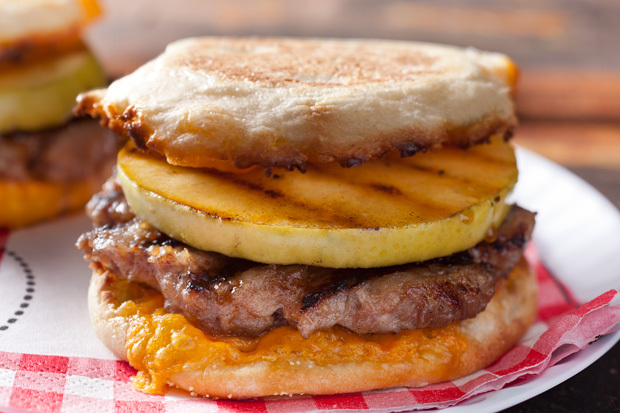 To assemble, place 1 sausage patty and 1 apple slice on 4 of the muffin halves; top with the remaining 4 halves. Serve immediately, passing additional maple syrup on the side. Heat the oven to 350°F and arrange a rack in the middle. Coat a 9-by-9-inch metal baking pan with butter (if you’re not planning to reheat the casserole on a grill, a ceramic or glass baking dish is OK to use); set aside. 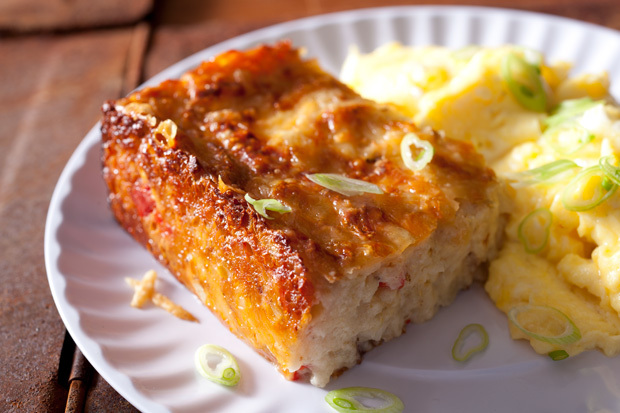 Place the bacon in an even layer on a rimmed baking sheet and bake until crisp and browned, about 15 to 20 minutes. Remove to a large paper-towel-lined plate and set aside to cool. Meanwhile, melt the measured butter in a large, wide pot or Dutch oven over medium heat. Add the bell pepper and onion, season with salt and pepper, and cook, stirring occasionally, until softened, about 5 minutes. Add the flour and cook, stirring occasionally, until the flour is no longer raw-tasting, about 1 minute. While whisking constantly, slowly pour in the milk and whisk until smooth. Let the mixture come to a boil and remove from the heat. Whisk in the measured salt, sour cream, and 1 cup of the cheese and season with pepper; set aside. Grate the potatoes on the large holes of a box grater (you should have about 5 cups of shredded potatoes), add to the pot, and stir to combine. Chop the cooled bacon into small dice, add it to the potato mixture, and stir to combine. Transfer the mixture to the prepared baking dish, spread it into an even layer, and sprinkle with the remaining 1 1/2 cups of cheese. Bake until browned all over, bubbling around the edges, and the potatoes are cooked through, about 1 hour (cover the dish with aluminum foil if it’s browning too quickly). 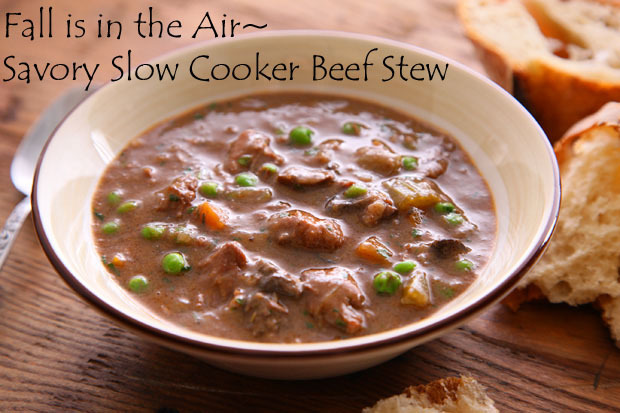 To make ahead and reheat in an oven or on a grill, let the cooked casserole cool to room temperature. Cover with aluminum foil and refrigerate for up to 2 days. When ready to reheat, let the covered casserole sit at room temperature for 1 to 1 1/2 hours, then place in a 350°F oven or on a medium grill (about 350°F to 450°F) until heated through, about 20 to 30 minutes. In large bowl, beat cake mix, water, sour cream, melted butter and eggs with electric mixer on medium speed 2 minutes. Stir in grated apples. In medium bowl, stir together all filling ingredients. Pour half of the cake batter into pan; sprinkle evenly with filling. Top with remaining batter. 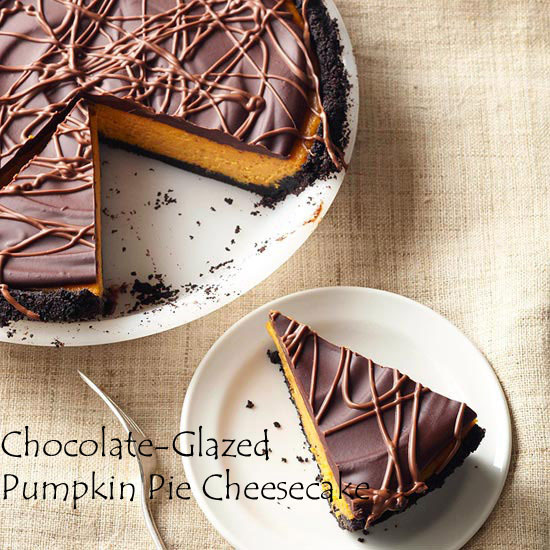 With knife, cut through batter several times to swirl filling. Bake 28 to 30 minutes or until toothpick inserted in center comes out clean. Cool completely in pan on cooling rack. 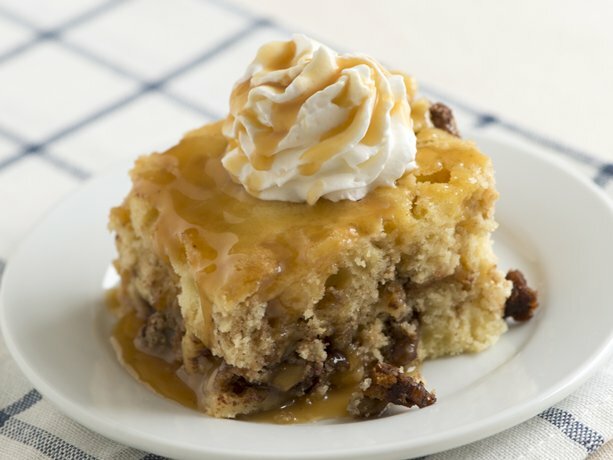 Garnish individual pieces with whipped cream and caramel topping. Heat oven to 375°F. In medium bowl, stir cookie mix, butter, egg and water until soft dough forms. Stir in bacon and pecans. Bake 11 to 13 minutes or until light golden brown. Cool 1 minute; remove from cookie sheet to cooling rack. Cook frozen vegetables and drain liquid. Set aside. Meanwhile, for cheese sauce, in a large saucepan, melt butter over medium heat. Stir in flour and pepper. Add milk all at once. Cook and stir until slightly thickened and bubbly. Add cheese, stirring until melted. 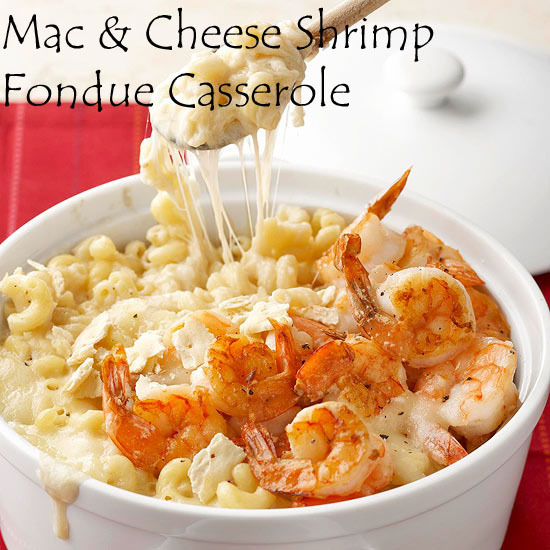 Stir macaroni into cheese sauce in saucepan, stirring to coat. 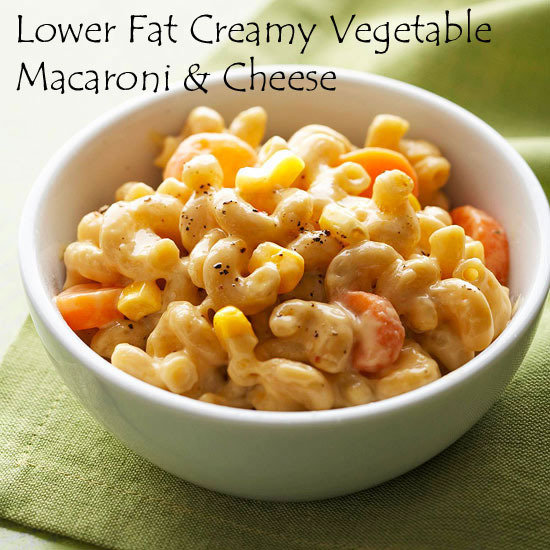 Add mixed vegetables to macaroni and cheese and cook over low heat for 2 to 3 minutes or until heated through, stirring frequently. Let stand for 10 minutes before serving. Makes 4 servings. I seriously love this drink, you guys. It tastes just like mulled cider, except better. I’ve never been a spiced cider fan…something about hot apple cider just didn’t do it for me, but this stuff is fantastic. I love it chilled and the bubbles from the sparkling cider make it something special. We’re talking mulled cider here, so expect this to be sweet…good and sweet, but also spicy, and a touch tart…and completely perfect. Do you ever create something and think, “Well, this might be pretty good. We’ll see,” then you finish it and view/try on/taste it and you’re all like, “Holy wow! Did I really just make this up all by myself? Cause it’s flipping wonderful!” Yeah? You do that, too? That’s what happened here. 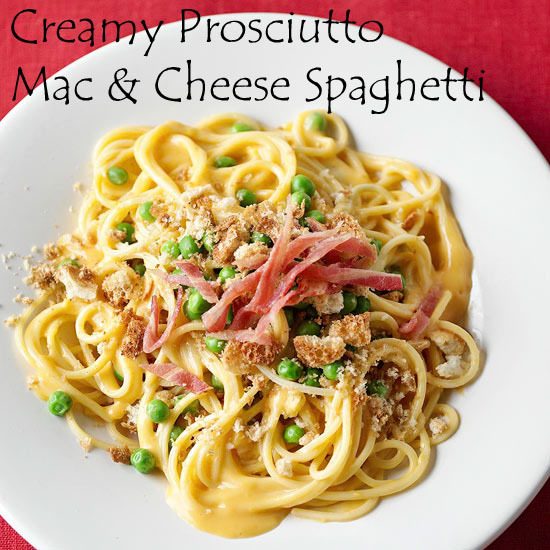 I made this on a whim; whipped it up from guesstimates and sounds-good-to-me’s…and it’s abso-freaking-lutely delicious. 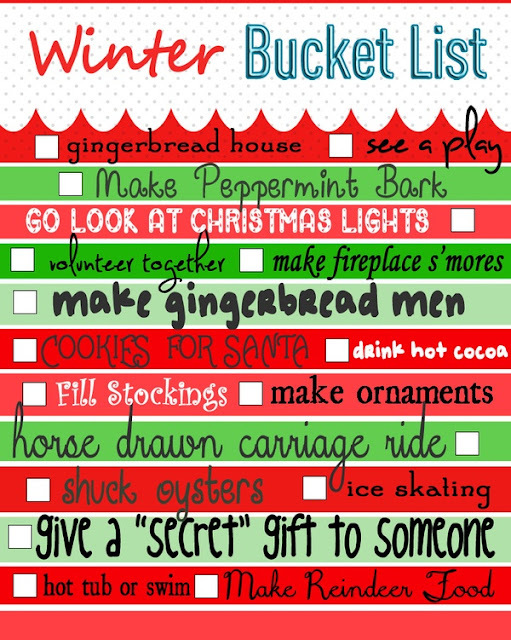 And if you go make this, now, you will, too. Combine the sugar, orange juice, cinnamon, allspice, and cloves in a small saucepan set over medium high heat. Bring to a boil, then reduce heat and simmer for 10 minutes, until the sugar is completely dissolved and the mixture is the consistency of syrup. Strain through a fine mesh sieve. Allow to cool completely. Use the syrup to rim 4 glasses, then dip the glasses into a sugar mixture (sanding sugar or cinnamon-sugar). Add 1 shot of the syrup to each glass. Stir in 1 shot of vodka, then add 4 shots of sparkling cider per glass. Stir gently and serve. For a stronger drink, increase the vodka to 2 shots per glass, and reduce the cider to 3 shots. I always knew that the once-monthly spots that overtook my chin were the result of not-so-stable hormones. 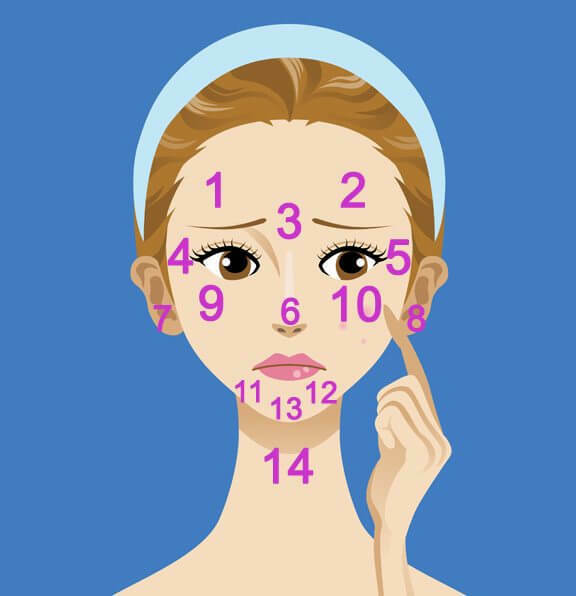 However, when my dermatologist took one look at the sudden outcrop of angry zits on my nose and asked me to get my blood pressure checked, it introduced me to a whole new (actually old) science of face mapping, which is pretty much the key to unlocking the mysteries behind problem skin. Face mapping, which is fast taking centre stage at most clinics nowadays, combines Ayurveda and ancient Chinese medicine with cutting edge dermatologists’ prescriptions to explain how certain parts of your face are connected to other areas of your body. Put simply, think of your face as a map and blemishes as X’s on that landscape. Spots in different zones correspond to different problems. So, with this “map” as your guide, you can address the underlying causes of blemishes and not only make the unsightly zits vanish but also treat the underlying health problem in time. Pretty awesome, right? Try it out: Here is how to decode breakouts in the basic areas. 14: Illness — Zits here can be a sign that your body is fighting bacteria to avoid illness. Give it a break, take a yoga class, take a nap, take time to breathe deeply, drink plenty of water and know that everything always works out! So the next time you break out or notice dark under-eye circles, look to your face map: your skin is probably trying to communicate on behalf of the internal organs. However, do remember that, as with all medical issues, it is always best to see your doctor or dermotologist for a proper prognosis. This is just a general guide to head you off in the right investigative direction – just becuase you break out between the brows doesn’t always mean you have a bad liver! Preheat oven to 350 degrees. Toast coconut on a baking sheet. With a spatula, turn over the coconut when it starts changing from white to a light golden brown. coconut will go from light brown to an icky dark brown quickly, so keep a close eye on it. Set aside. Sift flour, salt, baking powder, and baking soda together in mixing bowl. Add remaining ingredients except the oats. Beat until smooth about two minutes. 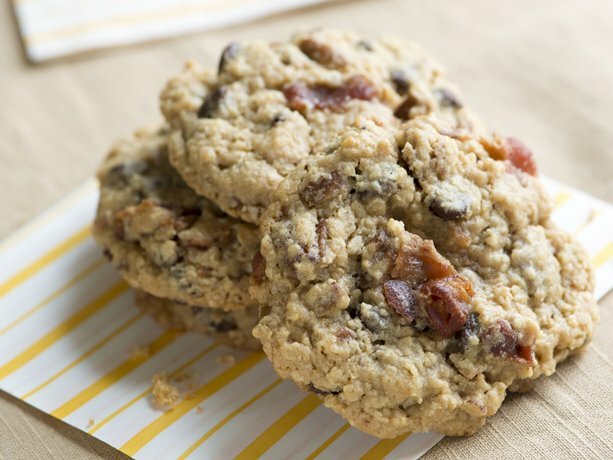 Fold in oats and shape into small balls on a cookie sheet. Bake for about 10 to 12 minutes. When cookies are cooled, please on a baking sheet lined with wax paper. Drizzle cooled cookies with caramel sauce. Using a piping bag with a star tip, pipe frosting on the top of each cookie. Cream butter for a few minutes in a mixer with the paddle attachment on medium speed. Turn off the mixer. Sift 3 cups powdered sugar and cocoa into the mixing bowl. Turn your mixer on the lowest speed (so the dry ingredients do not blow everywhere) until the sugar and cocoa are absorbed by the butter. Increase mixer speed to medium and add vanilla extract, salt, and milk/cream and beat for 3 minutes. If your frosting needs a more stiff consistency, add a little more sugar. If your frosting needs to be thinned out, add additional milk 1 tablespoon at a time. In a heavy saucepan, bring butter, brown sugar, corn syrup and sweetened condensed milk to a boil over medium heat, stirring. Carefully stir in whipping cream. Attach a candy thermometer to your pan. Continue to stir until the caramel reaches 238 degrees, or the soft ball stage. Remove from heat and add vanilla and salt. Line 8- or 9-inch square pan with foil, extending foil over edges of pan. Melt chocolate chips with sweetened condensed milk and salt in heavy saucepan over low heat. Remove from and stir in vanilla. Spread evenly into prepared pan. 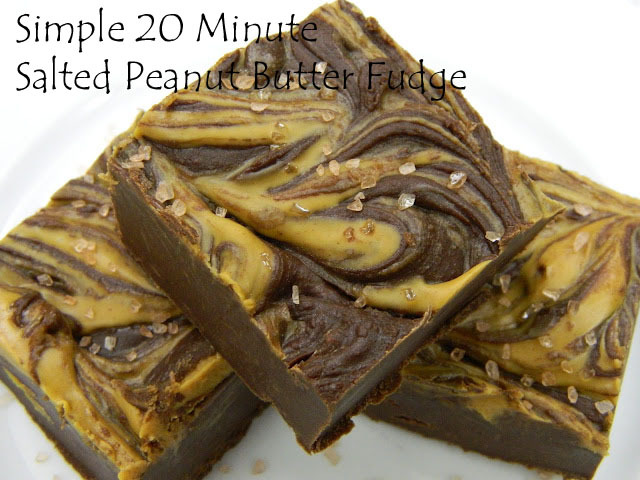 Top with creamy peanut butter and using a spreader make an even layer over fudge. Using a sharp knife, swirl fudge and peanut butter together and sprinkle 1/4-1/2 teaspoon of sea salt on top of the fudge. Chill 2 hours or until firm. Remove from pan by lifting edges of foil. Cut into squares. Line a 8- or 9-inch square pan with foil, extending foil over edges of pan. Remove from heat and stir in vanilla. Spread evenly into prepared pan. 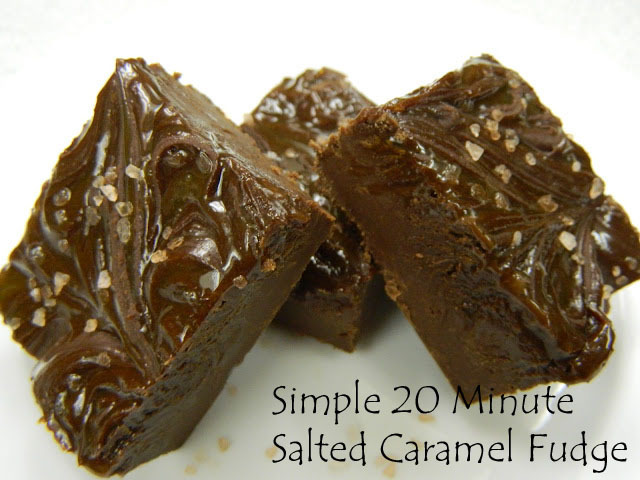 Pour entire container of caramel dip over the top of the fudge and spread evenly. Using a sharp knife, run through from top to bottom of fudge and then from side to side to create a pattern. Sprinkle top of fudge with fleur de sel. Melt the butter in a small skillet over medium heat. Add the onions and 1/2 teaspoon of the salt and cook until softened and caramelized, 18 to 20 minutes. Transfer to a small bowl and cool completely. Pour the water into the bowl of a stand mixer with the hook attachment and sprinkle in the yeast. Let the mixture rest until it bubbles, 4 to 6 minutes. Meanwhile, sift together the flour, sugar and remaining 1/2 teaspoon salt into a large bowl and stir to combine. Add the flour mixture and caramelized onions into the mixer and mix on the lowest speed until the dough comes together. Increase the speed to medium and mix until the dough is elastic and smooth, 6 to 8 minutes. Grease a large mixing bowl with 1 teaspoon of the oil. Form the dough into a ball and place it in the bowl, gently turning until coated. Cover with a clean, damp towel and let rest in a warm place until the dough rises 1 1/2 times in size, 35 to 40 minutes. Meanwhile, line a baking sheet with parchment paper and evenly coat it with the remaining oil. Set aside. Transfer the dough to a clean, lightly-floured surface. Punch down the dough and knead until smooth and no longer sticky, 6 to 8 minutes. The dough should spring back when you lightly press it with a finger. Divide the dough into 8 equal pieces, about 4 ounces each, and form into 4-inch-long rolls with slightly rounded, tapered ends. Place the rolls on the prepared baking sheet, making sure there is enough room between each to allow it to double in size. Cut three 1/4-inch-deep diagonal slashes across the top of each roll, then cover with a damp towel and set in a warm place to rise until the rolls almost double in volume, 20 to 25 minutes. Place one rack on the very top shelf of the oven and another on the bottom shelf. 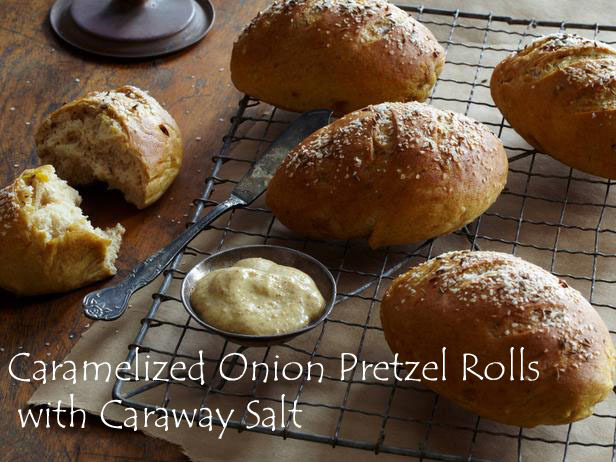 Preheat the oven to 425 degrees F. Stir together the pretzel salt and caraway seeds in a small bowl and set aside. Line 1 baking sheet with a dry towel and another baking sheet with greased parchment or a silicone mat. Bring 8 cups of water to a boil in a deep straight-sided skillet, and then stir in the baking soda. Boil 4 of the rolls, flipping in the water, 1 minute, and then transfer to the towel-lined baking sheet using a slotted spoon. Repeat with the remaining rolls. Let the rolls dry for 1 minute before transferring to the parchment-lined baking sheet and sprinkling with the caraway salt. Bake the rolls on the top shelf of the oven until deep golden brown, 10 to 12 minutes, and then switch to the bottom shelf and continue baking until cooked through, 2 minutes longer. Let the rolls rest 10 minutes on the baking sheet. Serve warm, with good German mustard or use as rolls for various sandwiches.